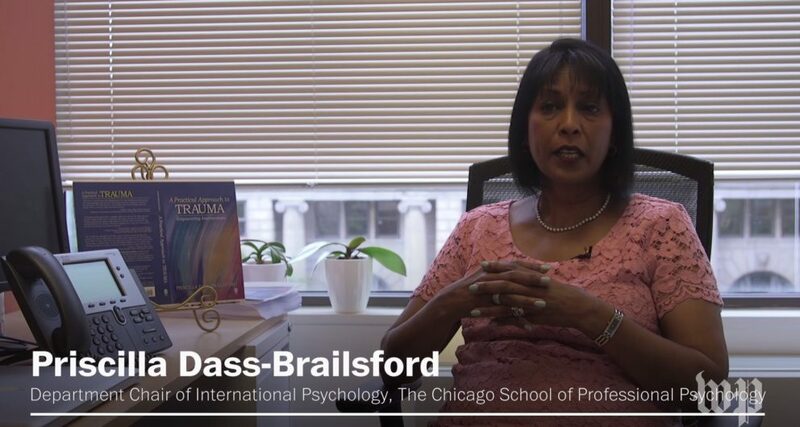 “Two survivors from the 2007 Virginia Tech shooting share their story of coping in the aftermath of a tragedy and how it still impacts them to this day.” In this video for The Washington Post, Dr. Priscilla Dass-Brailsford shares her expertise on post-traumatic stress disorder and how it affects survivors of these tragic events. Priscilla Dass-Brailsford, a native of South Africa, is chair and Professor in the International Psychology program at TCS. She studies the effects of trauma, specifically community violence, and other stressful events and is interested in whether individuals from historically oppressed or stigmatized groups experience unique stressors or exhibit culturally specific coping processes. Read more.